The 2015 lineup will be announced in the spring, and it is going to be filled to the brim with the eclectic mix you expect from us. Until then, relive your favorite TwentyWonders by looking back at our past performers and attractions. You can also check out the gallery of Friends of TwentyWonder who have lent us their support over the years. Also, if you want to keep up to date on all the latest TwentyWonder news, we’ve got a Facebook page and a Twitter feed—because we’re modern like that. In 1968 young puppeteers Sid and Marty Krofft were in a state of mind we can only assume was enjoyable when they created a friendly dragon named Luther, who would go on to be known as H.R. Pufnstuf. 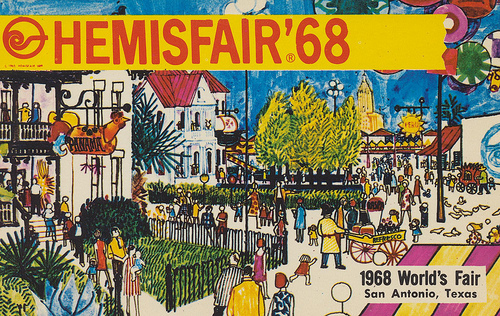 Originally created for the World’s Fair, aka the HemisFair—this popular puppet later became mayor on an eponymous show. Not only did he serve his people well by protecting Billy and his Magic Flute, he also won a landmark case against McDonald’s Mayor McCheese for puppet rights infringement. Take it McDonald’s! You have been billions served. One of the funniest comics working in LA, Sarah got her onscreen start at SNL. She’s worked her way steadily up the ranks with TV specials featuring her standup acts Sarah Silverman: Jesus is Magic and Sarah Silverman: We are Miracles. She has starred in Hows Your News, a news/comedy show with individuals from the disabilities community. She also co-created The Sarah Silverman Show alongside fellow Friend of TwentyWonder Rob Schrab—not pronounced like “drab” or “Gabe”. Sarah has been a generous supporter throughout TwentyWonder’s history, having performed at the very first TwentyWonder. Okay. Now that I’ve lost two hours reinstalling, replaying, and redeleting Will Wright’s SimCity from my computer, I can get back to writing this bio. While most game designers are determined to put us behind the scope of a gun, Will has devoted his talents to crafting games that teach us about the complex systems that encompass our lives. He is a great contributor to our culture and a valued Friend of TwentyWonder. For TwentyWonder 2010, Will teamed up with his Stupid Fun Club to create a video on creativity. One of the best parts of the TwentyWonder experience is that in the midst of masked wrestling, raunchy comedy, and Derby Dolls, you can suddenly find yourself in front of a sublime exhibit of scientific curiosity. TwentyWonder 2010 featured a display of Lepidoptera—butterflies and moths—from naturalist Eddy Atamian. It was a captivating experience of color, beauty, and evolutionary wonder. Peter crafts spooky, fantastical, or sometimes just plain weird special effects for movies like Hellboy, Stargate, and Men in Black. He has worked for a string of prestigious special effects houses including Jim Henson’s Creature Shop and Amalgamated Dynamics, Inc—co-founded by TwentyWonder 2011’s Batmobile maker Tom Woodruff. Peter helped Mark Thorpe pioneer the world of modern robotic competition at Superball 3—TwentyWonder’s spiritual predecessor—before going global with the BBC show Robot Wars. For TwentyWonder 2010, he got together with wünderkind Eric Gradman for some innovative work in the Sockie Okie area. Trace is best known for his role as Mystery Science Theater 3000’s mad scientist Dr. Clayton Forrester, who imprisoned his fellow Friends of TwentyWonder Joel Hodgson, Josh Weinstein, and Frank Conniff in the orbiting Satellite of Love. Trace was also the voice of MST3K’s Crow T. Robot and made regular appearances as the high school biology teacher in the acclaimed Judd Apatow series Freaks and Geeks. Trace later reunited with MST3K team members to form the bad movie riffing project Cinematic Titanic, which was a part of TwentyWonder 2010. Cinematic Titanic is a live riff show in which some of our hometown industry’s most infamous products get the skewering they deserve. If this idea sounds familiar to fans of Mystery Science Theater 3000, that’s probably because Cinematic Titanic is performed by the creators of MST3K! In 2010, Sattelite of Love veterans Joel Hodgson, Trace Beaulieu, Frank Conniff, Josh Weinstein and Mary Jo Pehl dropped in on TwentyWonder to do what they do better than anyone. Sadly, Cinematic Titanic has recently reached the end of its journey, as Titanics so often do, but the MST3K gang has promised to go on riffing far in to…THE FUTURE! Frank is a writer/director best known for his work on the cult hit Mystery Science Theatre 3000—alongside Friends of TwentyWonder Joel Hodgson, Josh Weinstein, and Trace Beaulieu. After MST3K he worked as a story editor on ABC’s hit Sabrina, the Teenage Witch and served as showrunner for Nickelodean’s critically acclaimed show Invader Zim. Frank later reunited with several MST3K alums for the bad-movie riffing project Cinematic Titanic, which was brought to the Doll Factory’s Chill Room during TwentyWonder 2010. Funny or Die (FOD) is a comedy video website founded by Will Ferrell and Adam McKay. It keeps its content sharp by subjecting every video to a brutal “Funny” or “Die” vote by each viewer. Since its beginning in 2007, FOD has grown to become a recognized and influential brand in comedy. It has attracted contributions from all over the industry, including from Friend of TwentyWonder Judd Apatow. At TwentyWonder 2010 and 2011, FOD’s creative grand poobah Andrew Steele provided an exclusive sampling of FOD material for the TwentyWonder crowd’s enjoyment. Famous for the Comedy Central hit Mystery Science Theater 3000, Joel Hodgson contributed to comedy powerhouses like Saturday Night Live and Letterman. Joel’s involvement with TwentyWonder goes back to its roots in the quasi-annual Superball parties. When Superball was transformed into TwentyWonder by its founder and curator Jim Hodgson—they’re brothers—Joel generously lent his talents in support. He has contributed to every TwentyWonders, bringing material from Cinematic Titanic and his solo project Riffing Myself. Joel has been an invaluable Friend of TwentyWonder. Widney High is a special education magnet school in the LAUSD. The band Kids of Widney High is composed of a group of Widney High students that write and perform original songs. Membership rotates as students come and go from Widney. Since its 1988 inception as a song writing class, the band has performed all around LA. It was even featured in the 2005 film The Ringer. In 2010 and 2012, Kids of Widney High played TwentyWonder and showed the crowd that every member of our community can contribute to the Carnival of the Mind. Taylor grew up around bugs with her grandfather, a UC Riverside entomologist who famously created the University’s most popular course, Insects and Civilization. Taylor has followed in her grandfather’s footsteps, doing a PhD across the pond at Lancaster University studying, “Those finicky little Phlebotomine sandflies and their immune system.” For TwentyWonders 2010, she presented a display of entomological specimens. It drew so much attention that she was reprised in 2011 with the help of her entomologically inclined grandparents. We are grateful for her support and happy to call her a Friend of TwentyWonder. One of the greatest SuperBallers of all time, Dallas-based artisan Brad Oldham manufactures the TwentyWonder amulets given out each at the event—in addition to manufacturing the Superball rings from 1996–2004. These commemorative pendants go to VIP ticket holders, our content providers, and the dedicated individuals who put TwentyWonder together. Brad owns a design company which has recently partnered with National Geographic to create life-size bronze sculptures of lions to benefit big cats. We salute this extraordinary artist him for his many generous projects and his many contributions to TwentyWonder. Mary Jo Pehl—pronounced like peal, not peel—pursued a career in nursing until she realized, to the benefit of comedy fans everywhere, that she had made a, “Major bad career choice.” While on the Minneapolis comedy circuit she met up with Mike Nelson and landed a gig on the cult hit Mystery Science Theater 3000 alongside fellow Friends of TwentyWonder Trace Beaulieu, Frank Conniff, Josh Weinstein, and Joel Hodgson. Later she reunited with the crew of the Satellite of Love for the Cinematic Titanic riffing project, which was featured at TwentyWonder 2010. Inspired by his Muskogee (Creek) descent, Grant-Lee Phillips’ songs gravitate towards conflicts at the heart of the American experience. This singer/songwriter emerged in the 90s as a member of the trio Grant Lee Buffalo, whose debut LP, Fuzzy, was described by R.E.M.’s Michael Stipe as, “The best album of the year hands down.” Phillips was also known as the sometimes troubadour of Stars Hollow on TV’s Gilmore Girls—which, incidentally, featured music from Friend of TwentyWonder Sam Phillips, no relation. At TwentyWonder 2010, he took the stage to play one of its most memorable sets. Another longtime contributor, Eban is a prolific composer and songwriter who has created music for countless television shows including Spongebob Squarepants, Mr. Show, and the Academy Awards. He has also maintained a steady output of solo albums that explore a range of genres. A multi-instrumentalist, Eban performs on keyboards, drums, bass, and clarinet. But he is especially famous for his skill on the theremin. Eban has made appearances at TwentyWonder from 2010–2014 giving virtuoso theremin performances and hosting the Chill Room alongside The Poubelle Twins. Josh—who writes under the name J. Elvis Weinstein to avoid confusion with a Simpsons writer and to increase confusion with a rock and roll singer—was one of the original writers of the cult hit Mystery Science Theatre 3000 alongside fellow Friends of TwentyWonder Trace Beaulieu, Frank Conniff, Joel Hodgson. He also wrote for the hit show Freaks and Geeks alongside another bevy of Friends of TwentyWonder. Later, he reunited with the crew of the Satellite of Love for the Cinematic Titanic riffing project, which was featured at TwentyWonder 2010. As monozygotic twins, Kevin and Kent grew up with an acute awareness of questions of identity, and much of their current work centers around issues of identity, the individual, and communication. This LA-based duo use the art gallery and museum context to explore their twinly telepathy, with startling and hilarious results. They have exhibited at the Rosamund Felsen Gallery in Los Angeles, Kunsthalle in Belgium, and Stalkie Galleri in Denmark. For TwentyWonder 2010, they played telekinetic chess in bicycle outfits, but for TwentyWonder 2011 they did something weird. © 2014 DSALA. ALL RIGHTS RESERVED.